Elon Musk has reinforced his criticism of the media. In a Twitter exchange on Saturday, Musk, the CEO of Tesla and SpaceX, described Newsrooms as " somber ." He accused NBC News reporter Ben Collins, " in a bubble of self-righteous sanctity "when Collins asked Musk if he had ever been in a newsroom. Joshua Topolsky, an experienced tech editor and founder of The Outline, an online publication, asked Musk, "Do you think it's in the interest of powerful people to support a free press that exposes their lies, or B: Tear It's that their lies are easier to spot? "Topolsky wrote. "Ask yourself now why the polls would look bad." Musk answered cryptically, "Who do you think has * the press? Hello." He did not work it out. A number of questions remained unanswered. On Sunday, Collins noted in a tweet that the commentary had attracted a flood of anti-Semitic reactions. He told Musk to sentence her. Who do you think * owns the press? Hello. Musk, whose business aspirations often receive positive coverage, eyebrows raised last week when he went to Twitter to criticize the press, accuse journalists of advertising collusion and wanted to start a website called Pravda, to assess the credibility of journalists, editors and publications. Pravda, the Russian word for "truth," is also the name of a newspaper affiliated with the Communist Party in the Soviet Union. Others said the idea needed to be refined. Siva Vaidhyanathan, a media professor at the University of Virginia, told CNN that such a service might be useful if it uses a careful methodology and is overseen by an independent journalism foundation. "It's not a crazy idea," he said. "The question is, why should Elon Musk be the one who operates it and how trustworthy it would be if he did it." The musings come after the coverage of Tesla ( TSLA ) ] for lack of production goals of the Model 3, loss of top managers and disputes with the government over an autopilot accident investigation. Musk also rebelled against Reveal, a not-for-profit news organization that published an investigative report on safety regulations and injury reports in Tesla factories. 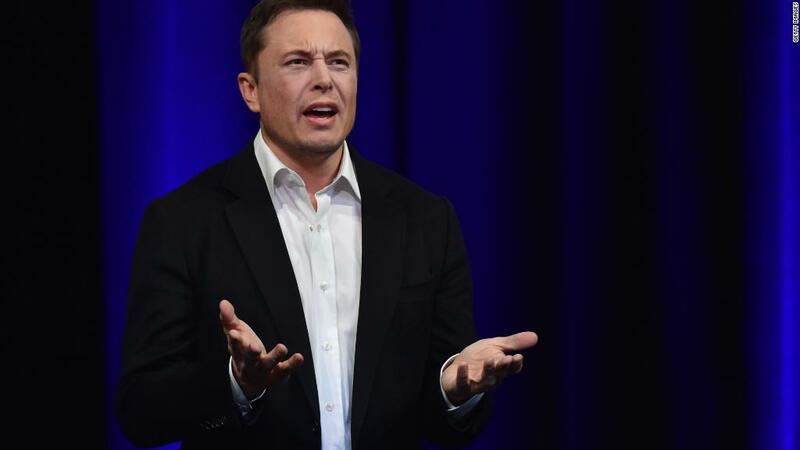 Musk claims the reports are " misleading ". Musk has also occasionally stated that he is not trying to discredit all media. "[P] Lease stop, assuming I'm against all journalists," he said in a tweet. "That's not true, something needs to be done to improve public confidence in the media." He also made a donation on Wednesday to PolitiFact, a fact-checking site of Poynter, a non-profit school for journalists. Earlier in the day, Alan Boyle, an editor at GeekWire, wrote a tweet to Musk. "It's great that @elonmusk is interested in supporting reality checks during the #fakenews crisis, but crowdsourcing may not be the best way to do that, it would be better to have support organizations like @snopes and @PolitiFact to support." Boyle said. – CNN's Seth Fiegerman has contributed to this report.